I do have a few yummy smoothie recipes for you all, though. The first one is SCD legal, while the second one is not, since chocolate is not legal on the SCD. Let’s jump right into it! 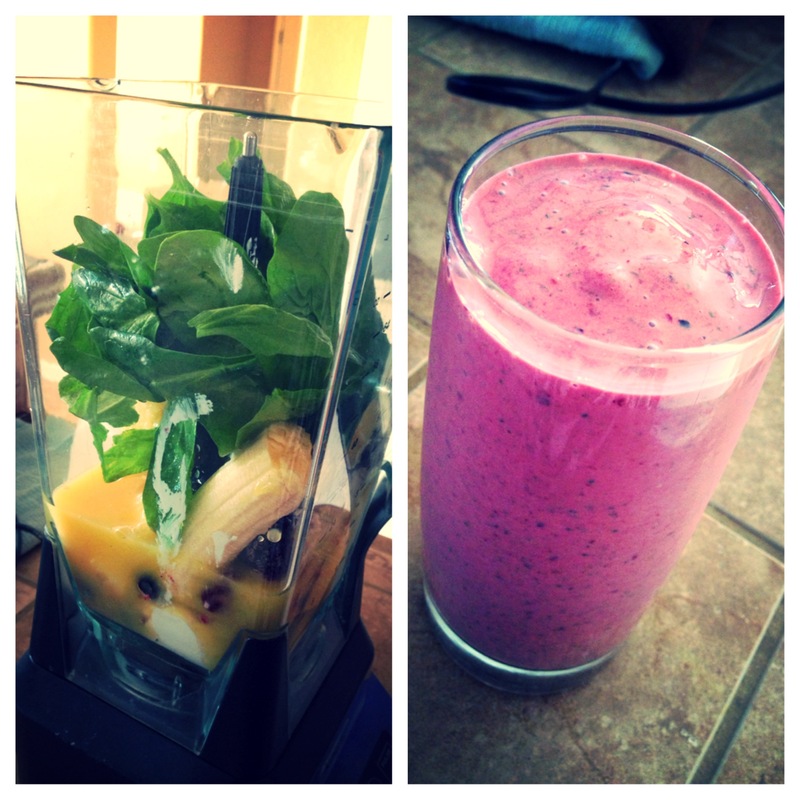 Blend all ingredients together, pour into a glass, and enjoy! Now this second smoothie is the non-SCD legal one, as I’ve pointed out above. 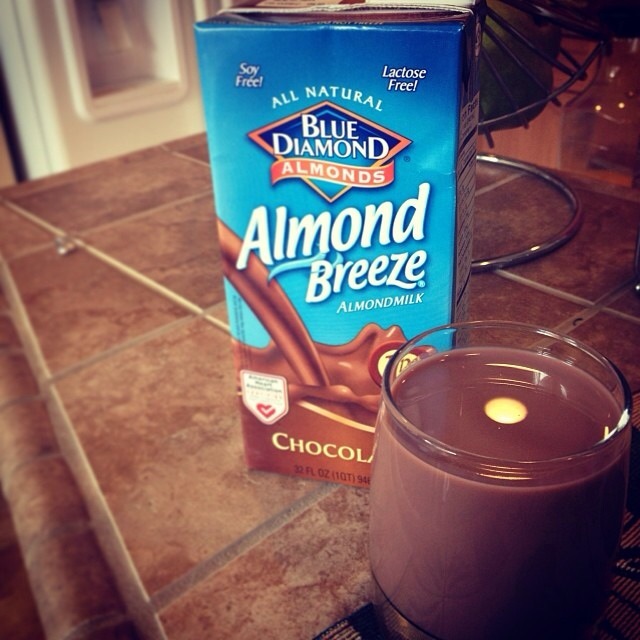 I was at Trader Joe’s the other day and decided to get their chocolate almond milk. Its consistency is smooth and the drink itself tastes no different than regular chocolate milk; you can’t even detect any trace of almonds in its taste. I initially wanted to add bananas to this smoothie but since we just ran out, I had to get a little creative. Blend the first four ingredients together, adding the ice cubes at the end. Pour into a glass and enjoy! 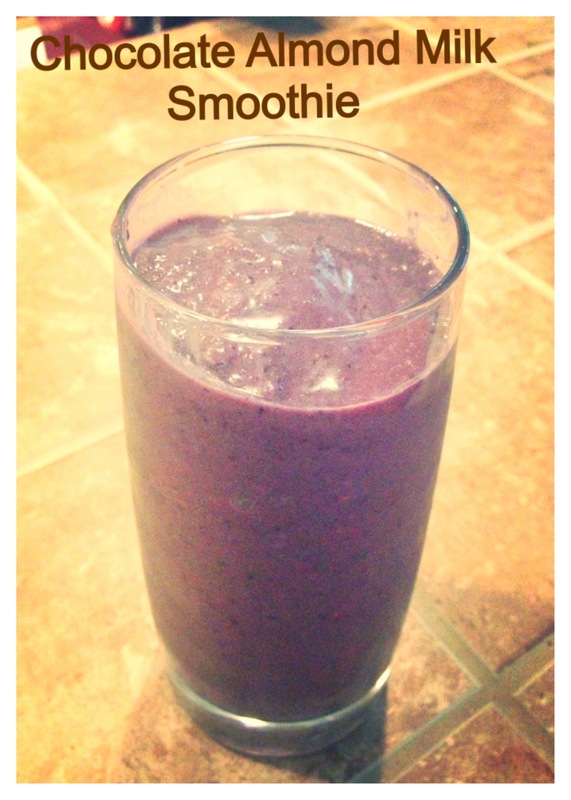 What I liked most about this smoothie is that it doesn’t even taste like it’s supposed to be good for you — instead, it tastes chocolatey, peanut buttery, and downright delicious! An added bonus is that it really is healthy for you, though it’s not SCD legal. Now that I’m nearing the end of my pregnancy, I can actually stomach a lot of things I wasn’t able to in the beginning, so I hope to post more SCD recipes in the near future. I want to thank each of you for being faithful subscribers; I really do appreciate all of you stopping by, leaving me comments, and checking my page out, though I know my updates have not been frequent. I wish you all a very Happy New Year! Cheers to a great 2014! Have you ever craved ice cream but wanted to spare the calories (and the guilt?) Well, then, I have a treat for you! 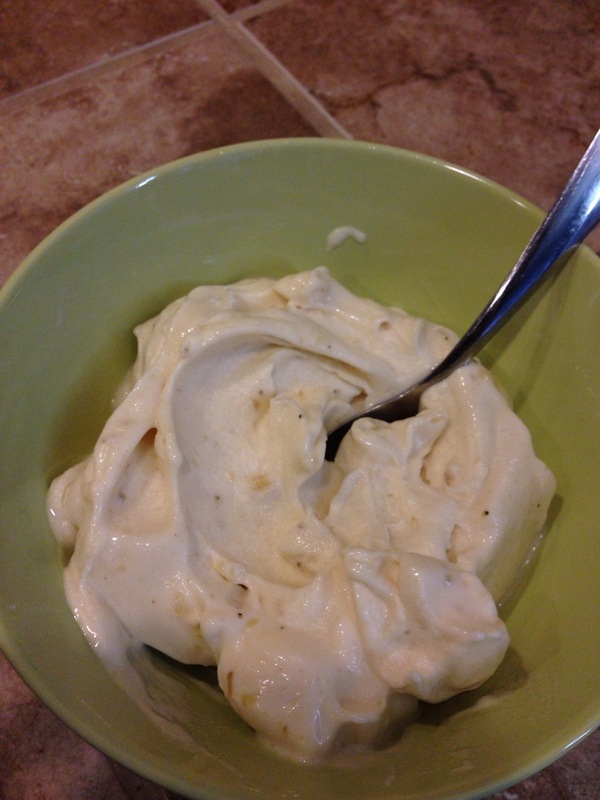 You can make healthy ice cream (I know, sounds like an oxymoron) with just one simple ingredient: bananas! All you need are bananas, which you’ve frozen ahead of time. 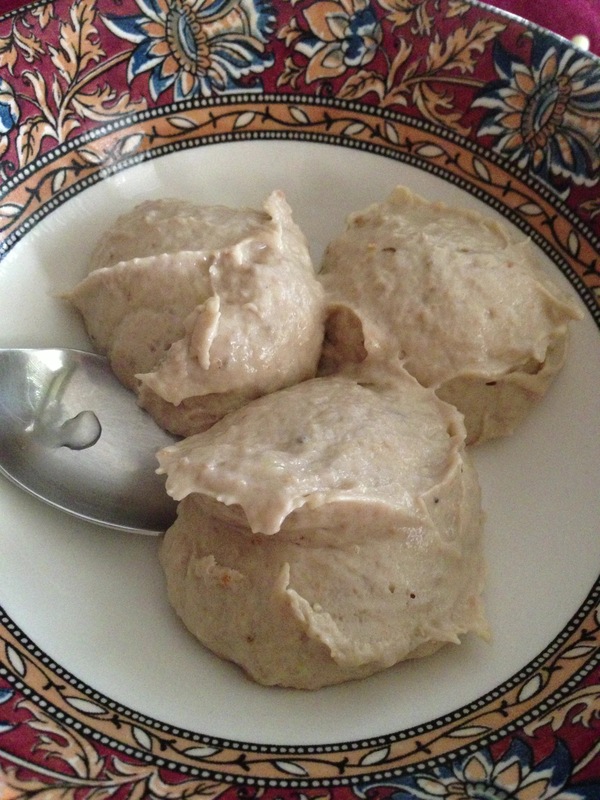 For the picture below, I used two frozen bananas and pulsed them in my food processor until they turned creamy. If your bananas are super frozen, it will take a few minutes until they turn smooth. You’ll just want to keep taking off the lid to your food processor, scraping the sides, and pulsing the bananas until they turn into an ice cream consistency. And, if you want to get really fancy (like I was in the picture above), you can add 1 tablespoon of all-natural, no sugar added peanut butter after pulsing your bananas. It doesn’t get much tastier and healthier than that! Last night I was in the mood for something sweet (no surprise) and was curious to see how my regular 4 ingredient peanut butter brownies would taste with a little banana added to them. The end result was that while the brownies didn’t have the consistency of brownies at all (hence, me calling this a bread pudding) it was still incredibly rich and tasty! 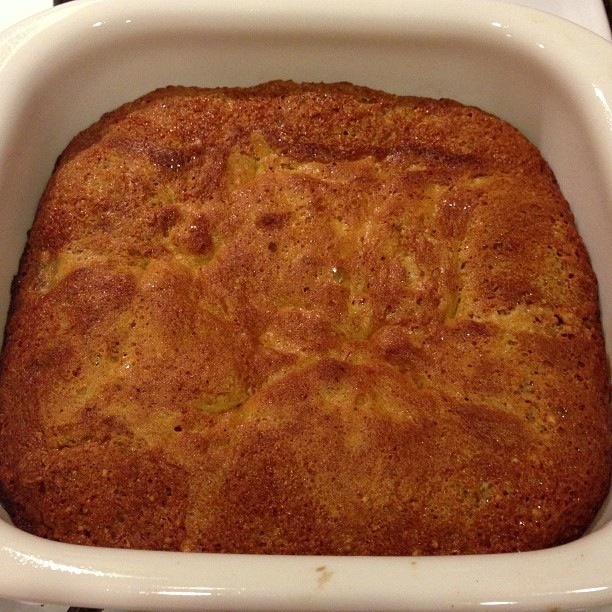 The banana did make it watery but that’s why I call it more of a bread pudding — just scoop it out with a spoon and you’re good to go. 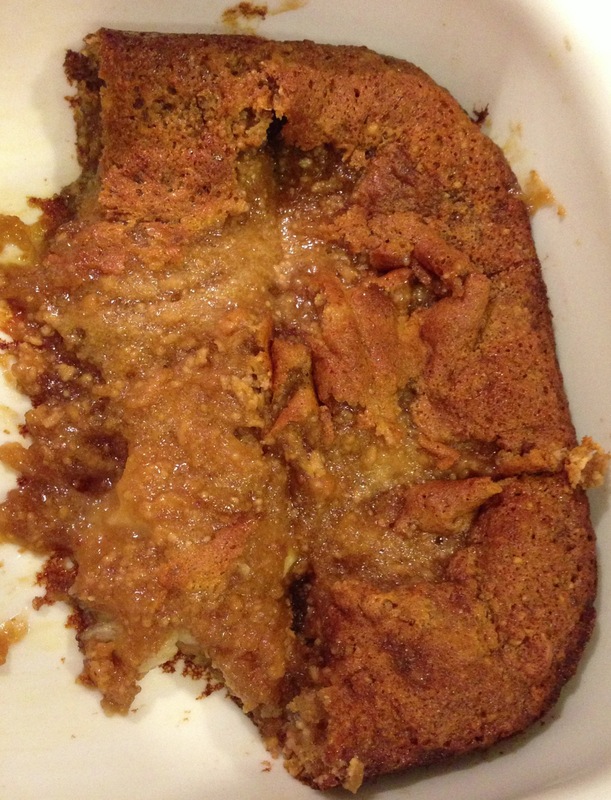 This dessert is incredibly rich and will be sure to satisfy even the biggest sweet tooth.